Apparent RA: 11h 46m 15s Apparent Dec:+55° 48' 50"
This is a small part of the Abell 1377 galaxy cluster in U Maj. 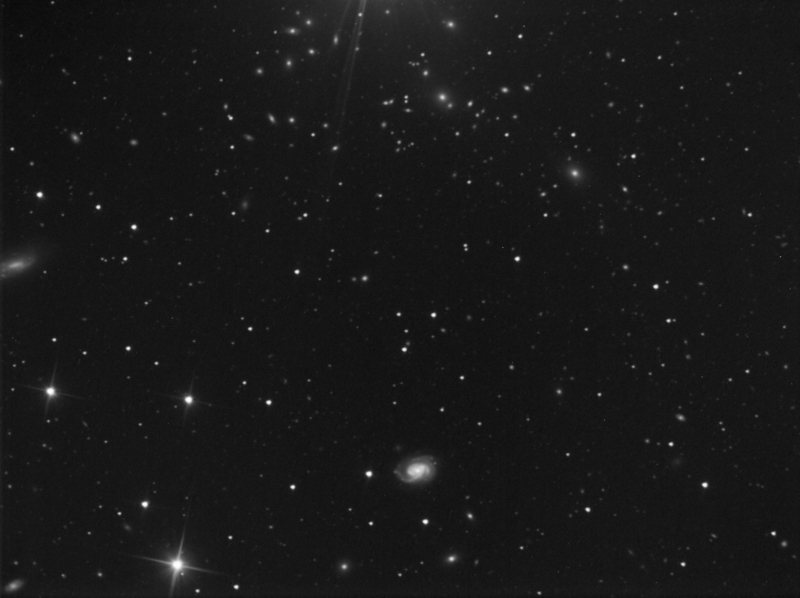 In the lower centre is NGC3888 with NGC 3850 peeping in on the left. This is the best "Curdridge Deep Field" shot I've taken so far. A total of 7 hours exposure on the 8inch newtonian on this region has produced a smooth result which is jam packed with galaxies. The glow at the top is the 5 mag star in the middle of the cluster, however I cannot count the number of galaxies in this field almost every speck is a galaxy.